In the ‘Workshop Osho Zen Tarot and Aura soma‘ two colour approaches meet each other, each with its own accent. ranking according to the 4 elements of the Minor Arcana which is based on colours. The colour red means fire and refers to ‘action’. Blue is the water element and refers to ‘emotions’. The colour grey represents the element clouds and this points to the -unenlightened- thinking. Rainbow colours point to the element called ‘physical’ and this means: the earthly is as important as the divine. There is a flowing connection between the two instances. Aura soma is a soft and ‘non-intrusive colourtherapy’. The starting point is: you actually will choose the colour who you are. This happens on the basis of an Aura soma arrangement of Aura soma bottles or of ampoules which is made. This colour resonates in you at this moment and this is very meaningful. You can focus on the fact that the bottle or ampoule includes one colour or that two colours are the case: which colour is on top and which colour is at the bottom side? The chosen bottle has something to say about what you deeply experience inside and that you can strengthen and develop in yourself. In the Workshop ‘Osho Zen Tarot and Aura soma’ we will discover the following. Every Osho Zen Tarot card we can connect to an Aura soma bottle or ampoule. Because both the methods have their own approach, the insight of these two approaches are complementary. The Aura soma mostly emphasizes an Osho Zen Tarot card layout in a special way and often gives an extra opening. And an Osho Zen Tarot card many times offers clarification and deepening to the choice of the Aura soma bottles or ampoules. Also the use of two different substances, Osho Zen Tarot, solid, and Aura soma, liquid, offers a rich and total experience during an individual consult or a group session. Only to have this combination before your eyes, exclamations of enchantment and also great intense silence are the effect. In advance to an Osho Zen Tarot and Aura soma workshop participants are asked to define which colour they mostly felt during the last couple of days. When the workshop starts, they choose that bottle or ampoule which reflects the chosen colour the best. Next to this the Osho Zen Tarot card is taken which is connected to this specific bottle or ampoule. The combination is interpreted in the light of the person’s present life situation. In the follow up of the workshop in which meditation and Osho Zen Tarot card layouts take place, all the time there is reflection about the specific colour of somebody. We will explore if the colour is still the same, becomes more or less intense or maybe changes and what this means to someone in his personal life. 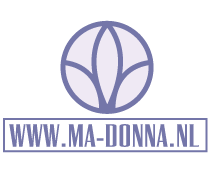 The costs for this workshop Osho Zen Tarot and Aura soma are €45,- . For further information please connect me by e mail. Kijk voor actuele cursusdata in de Agenda.